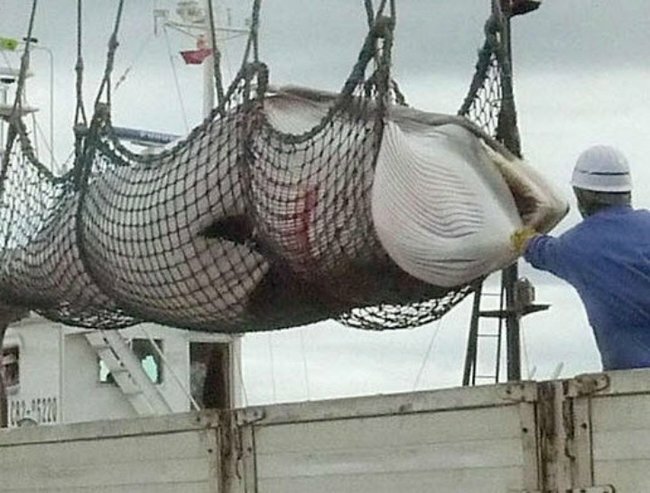 Japan resumes whaling despite an international ban. Japan has resumed whaling in Southern Ocean, despite international ban. By North Asia correspondent Matthew Carney. In defiance of international law, Japan will send off its whaling fleet today to kill hundreds of Minke whales in the Southern Ocean — a move fiercely condemned by Australia and New Zealand. Last year the International Court of Justice ruled Japan’s scientific whaling program was a sham that should be halted, and the International Whaling Commission (IWC) has also said the plan was not justified. To sidestep this, the Japanese government called for any future disputes to be settled through the United Nations convention on the law of the sea. But Japanese academic Yasuhiro Sanada said that too may prove to be illegal. “I doubt Japan would win if Australia or other countries took legal action based on this. Japan is on very hazardous ground,” he said. Mr Sanada said his country had to face the truth — that scientific whaling is a fabrication. To date, the program has produced 666 research papers but only two have ever been peer-reviewed. “The research is poor,” Mr Sanada said. Researcher Junko Sakuma said the Japanese government was now doing everything it could to ensure whaling continues. The industry has been given an additional $50 million and is about to set up a powerful independent body. “It’s outside the government and will pay for expenses like renting ships and buying fuel. But it’s still taxpayers’ money,” Ms Sakuma told the ABC. Japanese experts say the government is damaging the country’s reputation for the sake of a food and a culture that few in Japan embrace. “There are a few whaling parliamentarians,” Ms Sakuma said. The Japanese government was not available for comment. © 2015 Australian Broadcasting Corporation. All rights reserved. Read the ABC Disclaimer here.